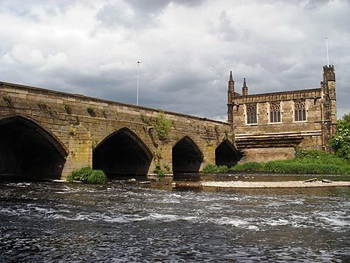 Any of the faithful could become a founder of a chantry, also often known as a chantry chapel, as chantries were adapted to the means of all ranks of society, including people of widely divergent status and wealth. 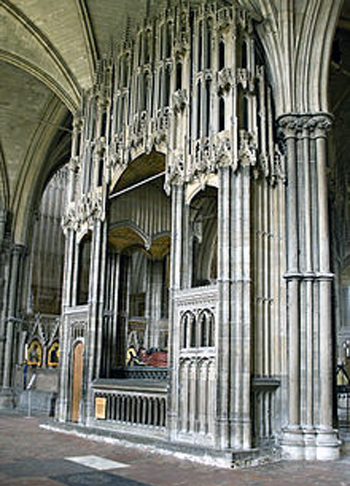 (2) Such was their popularity that there was scarcely a church without at least one chantry, (3) while cathedrals and collegiate churches often had a considerable number of them. (4) There were also numerous purpose-built chapels dotted around the countries of Europe that could each support several chantry priests. It is worth noting at this point how indispensable chantries were to the vitality of medieval religious life. They may seem unimportant to most people today (if they even knew of their existence), but for the Liturgical Movement they represent an embarrassing aberration. In their time they were, literally, matters of life and death. As their foundation was based on the efficacy of Masses for the dead, they were a work of Christian charity, a spiritual work of mercy, for the relief of souls suffering in Purgatory. What more fitting context could there be for assisting the transition of souls from this world to eternity than the Holy Sacrifice of the Mass in which heaven and earth meet? As most people, rich or poor, were concerned for the welfare of the soul after death, chantries can be said to have formed a bond of community between the living and the dead, a spiritual network that helped to give medieval society a sense of Catholic identity. In terms of practical utility, the financial provision for chantries was a boon to the Church at large. It funded a copious supply of priests, vestments, altars, chapels and housing for the priests, free schooling and almshouses for the poor, the construction of roads and bridges, and even contributed to the enlargement of local parish churches. But, it was not just the monetary value of chantry endowments that was at stake. More fundamentally, the aim of the Protestant “Reformation” was to attack the Mass and erase the doctrine of Purgatory from living memory. Chantries, therefore, were the target of Protestants who inveighed against the riches of the Church and charged that praying for the deceased in return for money was tantamount to buying one’s way into Heaven. As we shall see below, everything in his account is either tendentious or historically incorrect – two attributes that are often present in Jungmann’s writings – and it bears little relation to the realities of medieval life taken as a whole. The Church has always encouraged increasing celebrations of the Mass, but not by the same priest on the same day. Like every other aspect of the liturgy that might otherwise become unwieldy, the chantry system was subject to regulation. Pope Innocent III legislated in 1206 that every priest might say only one Mass daily, except in the case of necessity, (13) and this was universally observed. The proliferation of Masses and the endowment of a special class of so-called “Massing-priests,” far from being unnatural, was a necessity at a time when increased requests, by their sheer order of magnitude, could not be met by the usual channels: the monasteries and parish priests. There are no grounds, therefore, for believing that the provision of such services was either vain or superfluous. From these we gather that there were a great variety and complexity of chantries and that the priests who served them were called upon to fill a variety of roles. 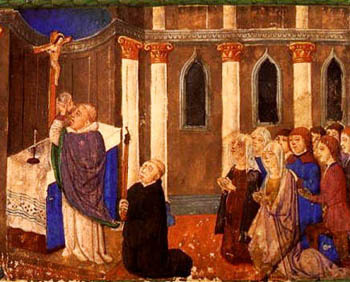 According to chantry certificates and other surviving evidence, their foundation ordinances often stipulated that, in addition to their primary duty to say Mass, their members participate regularly in divine services in the choir, assist the parish priest in administering the Sacraments, act as schoolmasters for poor children of the parish and as chaplains to hospitals or prisons. They were also useful in ministering to the faithful in outlying districts where geographical or climatic conditions made access to the parish church impossible. And, in times of plague, churches were frequently and heroically manned by chantry priests who, as true shepherds, lived and died alongside the faithful they served. Next, we will examine the underlying reasons for Jungmann’s hatred of chantries. Wealthy individuals – kings, barons, knights, successful merchants etc. – could found a chantry in their own name; the poor and others of limited means could club together, each making a small contribution in money or in kind to a guild or confraternity which would found a chantry to provide Masses for their souls. This came about either by individual benefactors acting in their own name or by a group of parishioners clubbing together to endow an altar in their own parish and provide for the support of a chantry priest. For instance, the original St Paul’s Cathedral (later destroyed in the Great fire of London in 1666) had no less than 84 chantries which necessitated the construction and use of many side altars. (For more details, see Chapter 3 of Marie-Hélène Rousseau, Saving the Souls of Medieval London. Perpetual Chantries at St. Paul’s Cathedral, c.1200-1548, London, Ashgate, 2011). Jungmann stated that “in England Henry VIII suppressed 2,374 chantries just before his death” (J. Jungmann, The Mass of the Roman Rite, vol. 1, p. 130, note 20) is historically inaccurate. Henry VIII’s Chantry Act (1545) only established the formal right of the King to take control of the endowments of the chantries, but it did not order their wholesale suppression. It was the Second Chantry Act of 1547, signed by his successor, the boy king, Edward VI, which completely suppressed 2,374 chantries and ordered Commissioners to seize their assets for the Crown. In 1514, Edmund Daundy, one of the wealthiest merchants of his day, founded a perpetual chantry at St. Thomas à Beckett’s altar in the Church of St Lawrence, Ipswich, in Suffolk. He nominated Fr. James Crawford as the first of a succession of chantry priests to say daily Masses in perpetuity for his soul and the souls of his relatives (among whom is named Thomas ‒ later Cardinal ‒ Wolsey, Dean of Lincoln Cathedral.) His endowment included a house for the priests, money and lands as a source of income for them, and also almshouses and gifts for the poor. But after his death (he was buried in the floor of the church), Fr. Crawford was dismissed and his post given (probably as a sinecure) to Thomas Becon (future chaplain of Thomas Cranmer); the church was ransacked for its valuables (cross, tabernacle, chalices, vestments of cloth of gold etc. ); the stained glass windows were smashed and the wall paintings whitewashed; even Daundy’s tomb was defaced for its brass ornaments, and the spot was sanded over. Today, no visible memorial exists to the pious and charitable Edmund Daundy. The Church of St Lawrence, Ipswich, long redundant, is now a Community Centre. In the mid 20th century, a council house estate was built on his chantry lands and called, with supreme and bitter irony, Chantry Estate. But, who will now pray for his soul? Most of this information was taken from Edmund Daundy’s will and foundation deeds as recorded in John Wodderspoon, Memorials of the Ancient of Ipswich, in the County of Suffolk, Longmans; and J. R. Smith, pp. 348-353.) See here. J. Jungmann, The Mass of the Roman Rite, vol. 1, p. 130. Thomas Fuller, The Church History of Britain, from the Birth of Jesus Christ Until the Year 1648, London, T. Tegg, 1837, 3 vols. vol. 2, p. 269. Fuller (1608–1661), was a Protestant clergyman and preacher. The reference to the hive of drones was intended as an analogy with chantries that provided prayers for the dead. J. Jungmann, The Mass of the Roman Rite, p. 130, note 20. Fr. Thomas Bokenkotter, for example, complained about “the multiplication of private Masses – Masses said without a congregation – by stipend-hungry priests who hawked Masses … and would offer many Masses on a single day.” (Dynamic Catholicism, Crown Publishing Group, 2010, p. 214). This decree is found in the Decretals of Gregory IX (1234) chapter 3, book 41, title 3. The Decretals of Gregory IX are a compilation of previous collections of papal decrees and became the official Code of Canon Law. 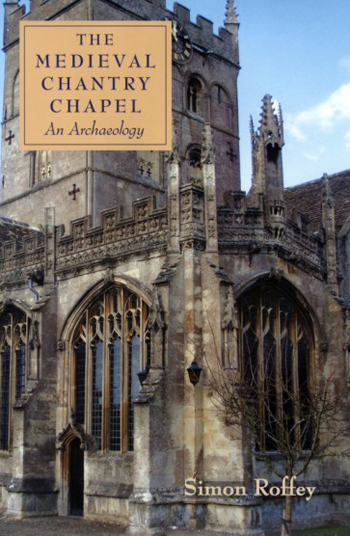 Katherine Wood-Legh’s Perpetual Chantries in Britain, published in 1965, was the first major in-depth study of the chantry as an institution. These studies have revealed in great detail the historic background of the chantries: their founding, location and management; the multifarious duties of chantry priests; their housing, remuneration, supervision and conditions of work and, finally, their dissolution. Alan Kreider, English Chantries, The Road to Dissolution, Cambridge, Mass., 1979, p. 57. Quoting from the Chantry Certificates made by the King’s Commissioners in the first year of the reign of Edward VI, Francis Gasquet gives several examples of this practice. See Francis Gasquet, Parish Life in Medieval England, Methuen and Co. Ltd., London, 1922, p. 96. These findings are replicated in many other studies. Alan Kreider, English Chantries, The Road to Dissolution, p. 61.